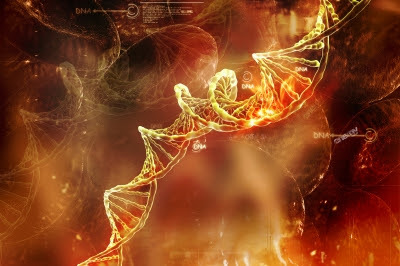 ‘When DNA was found to be the hereditary material in the mid-20th century, the belief system of that time was that our genes were like blueprints and that those blueprints self-regulate and lead to the assembly and function of the human being. ‘Epigenetics is a new model of gene expression. "Epi" means above, so the literal translation of epigenetic control [is], “controlled above the genes”’ (Genetics, Epigenetics, and Destiny, an interview with Danielle Graham. Empasis added). Dr. Christopher Kent states that, “Our environment controls the activity of our genes. Our interpretation of the environment determines how our genes express themselves, and we can direct our interpretation of life's events. In short, we are not slaves to biochemical caprice. As sentient beings, we sculpt our biology” (Legacy and Lifestyle: Epigenetics and the Potential for Chiropractic). Environment and interpretation (or “perception” as Dr. Lipton phrases it in his book Mind Over Genes: The New Biology) are where our biological sculpting power comes into play. There are two realities: that which is inside our head, and that which is outside. The way we interpret our world is the way our genes will manifest our potential. We each have the potential to be a lizard or a wizard, a slug or a sleuth, a person in rage or a sage. We get to choose. The way we choose to see our environment is a direct controller in how our genes map out our body and our bodily function. You determine your physiology. We can maximize our life-sculpting power by taking the time to identify how and why we interpret our life’s experiences the way we do, and by recognizing the power we have to choose our judgment of any situation, and then actually choosing our response to every situation. This is a huge piece of the puzzle that explains how stress affects our health! 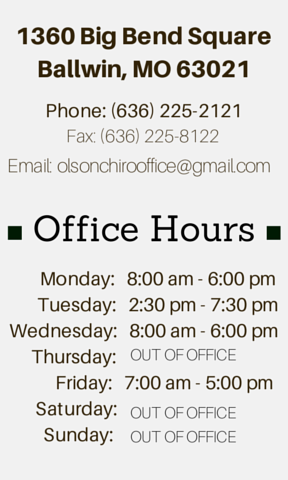 Olson Chiropractic is one of the few places in Missouri that carries the very best green powder on the market: Vitamineral Green, by HealthForce. Just one serving a day in your favorite juice, and you get the full power of nature’s most potent superfoods. This amazing powder will support every healthy process in your body—from the brain to the bowels, your entire system is going to be nurtured and super-charged by Mother Nature’s best. “Vitamineral Green is a superior, nutritionally dense, therapeutic green superfood powder which nutritionally supports blood sugar, detoxification, the immune system, liver, kidneys, blood, bones, colon, pancreas, muscles, brain, regularity, circulation, and longevity. Vitamineral Green is formulated by Mother Nature and Jameth Sheridan [Naturopath, Doctor of Holistic Medicine, and Herbal Medicine Researcher]. There is a great website that reviews many of the green powders on the market, and Vitamineral Green is at the top of the list. Check it out for yourself and see more reasons why Vitamineral Green is so amazing! Start benefiting from this outstanding product, today! We have 4-day sample packets of Vitamineral Green in the office so you can get started right away!